iPhone is a most popular line of Internet and multimedia-enabled smart-phones designed and marketed by Apple INC. As we all knows that there are lots of iPhone apps are available in the store and many of them are useless and others are buggy, but there are a some really nice apps that actually worth downloading. All this iPhone apps have diverse functionalities, including Sports, Reference, GPS navigation, social networking and advertising for television shows, films, and celebrities and so on. This perfect scoreboard application by ESPN. This is one of the best free application and its must have application for sports fans, especially those who can’t wait until home to get the score of the game. 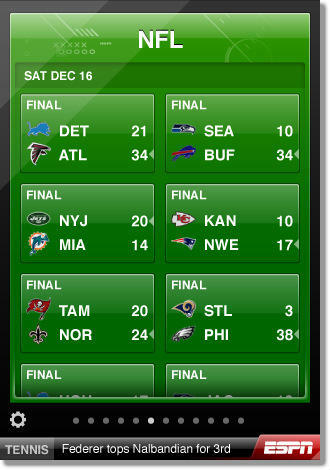 ESPN ScoreCenter brings you scores from hundreds of sports leagues around the world. Never miss another goal, pitch, basket, try, touchdown or wicket. Whether you follow the NFL or the Premier League, the Ashes or MLB, NASCAR or Formula One, ScoreCenter offers the most comprehensive sports coverage available on your iPhone or iPod touch. SportsTap is the ultimate sports iPhone portal. Access all the NFL, MLB, NBA, NHL, NCAA, CFL, NASCAR, Formula One, IndyCar, PGA, LPGA, ATP, WTA, MLS, and top football leagues from around the world scores and stats on iPhone or iPod touch wherever you are. SportsTap provides detailed box scores with in-depth team and player statistics as well as season statistics and transactions for many leagues. 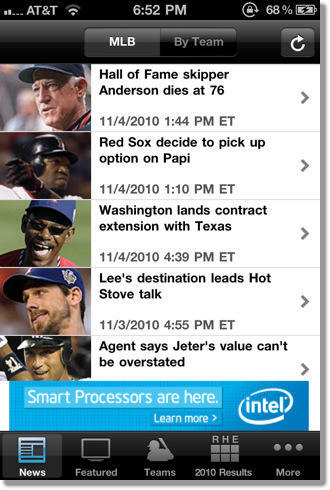 MLB.com At BatLite is the place for all the up-to-the-moment Hot Stove news and analysis for your favorite MLB Clubs. You will get 2011 schedules and interactive rosters and player stats for every team. The Formula1.com Application is the essential app for F1 fans and streams real-time data direct from Formula One Management’s Technical Facility at the race track. It displays the same information supplied to the teams from every session of the weekend, instantly putting you at the heart of the action. Races! 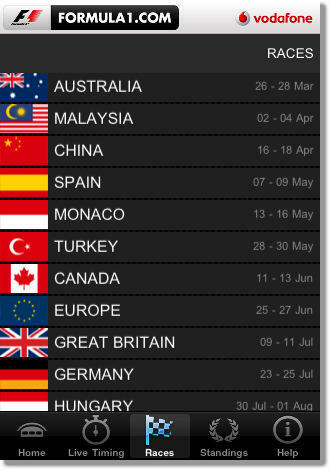 is a complete and comprehensive motorsports racing calendar, event finder, and more. You can find racing events anywhere in the world, from Formula One all the way to your local car club’s weekend autocross. 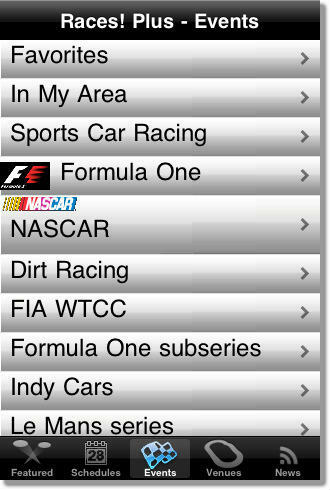 Find out what’s happening at your favorite track, or check out the world of NASCAR or WRC. Thus iPhone with all beneficial applications stands unique in the world. 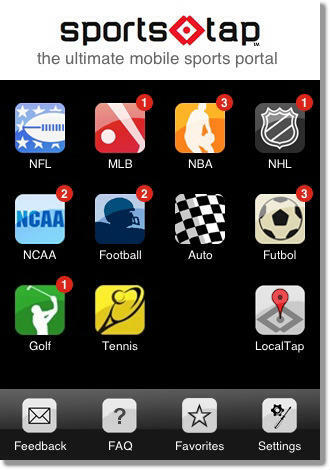 If you know of any other Sport app that’s not on the list but you find it helpful in discovering useful iPhone apps please share with us on comments.